Lasik stands for laser-assisted in situ keratomileusis. The procedure involves creating a ‘flap’ on the front of the eye (the cornea), removing or ‘ablating’ the underlying tissue to reshape it, then laying the flap back down over the area of the cornea that has just been reshaped. A cataract represents a clouding of the natural crystalline lens of the eye. 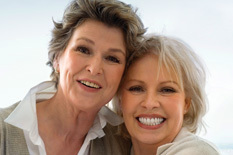 They usually start to develop around age 60 and progressively worsen as time goes on. Everyone will develop cataracts eventually if they live long enough and it is a condition which is very treatable. 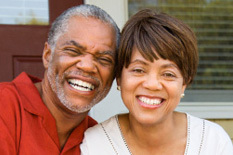 Glaucoma is a group of diseases that can cause progressive vision loss. 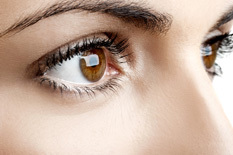 Vision loss occurs when the optic nerve (the cable that connects the eyeball to the brain) is damaged. 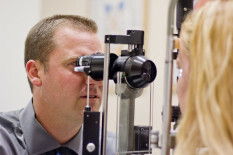 Though in most cases we don’t know the cause of glaucoma, we do know several risk factors and treatment options. ARMD is a chronic, progressive degeneration of the macula that occurs as we age. The macula is the central part of the retina that provides central, detailed vision. The loss of central vision in ARMD will interfere with everyday activities including the ability to recognize faces, drive, read, & write, or fix things around the house. We offer a full optical center that offers a great selection of frames in different styles from the world's top brands and the ability to custom make your glasses in-house. 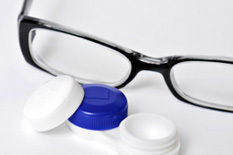 Additionally, Dr. Ryan has the ability to prescribe every type of contact lens available.